The creation of Mesa Verde National Park was a struggle that required the combined efforts of thousands of people who truly believed in the conservation of our nation’s cultural heritage. Mesa Verde National Park is a world heritage site located in Montezuma County, Colorado. Among these ruins lived the Ancestral Puebloan Native Americans. Though historians disagree as to when this culture emerged, the common belief is that the first traces of this culture were seen around the 12th century B.C.E. However, by the time the Spanish made the first explorations into the region, they had migrated southward and no longer inhabited the cliff dwellings at Mesa Verde. 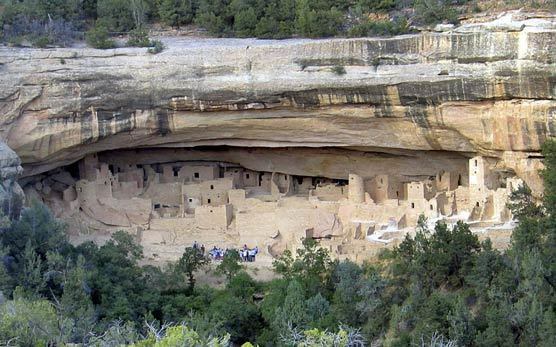 The most famous structures of the site are Cliff Palace and Spruce Tree House, containing many dwellings, ladders, and kivas (circular pits used for ceremonial purposes). While the culture and lifestyle of these people is both fascinating and shrouded in mystery, the purpose of this writeup will be to analyze the history of those who fought to preserve these ruins, as their efforts should not go unnoticed. Mesa Verde National Park was officially founded in 1906, and contains some of the best-preserved Ancestral Puebloan ruins that are in existence. Containing what is generally thought to be the largest cliff dwelling in North America, this site is a favorite for people who have interest in the ancient cliff-dwelling peoples of the region. The site has become a favorite of thousands of people who live in the American West, though this has not happened without much struggle and difficulty. The preservation of archeological remains is a highly controversial topic in American politics and history, and Mesa Verde is no exception. Through the tireless efforts of various archeological organizations, government agencies, and private citizens, this historical gem has been preserved. While there is widespread belief that president Theodore Roosevelt was the driving force behind the preservation of Mesa Verde, there were many unsung heroes who strove to make the ruins a national park and to keep it alive, vibrant, and intact for the benefit of people today. Virginia McClurg, a correspondent for the New York Daily Graphic, moved to Colorado Springs, Colorado in 1877 and began to take interest in the ruins. 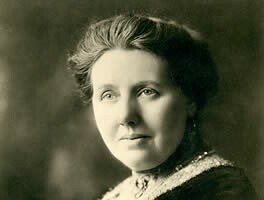 She organized thousands of women and founded the Colorado Cliff Dwellings Association which fought for the preservation of the ruins at Mesa Verde. While many of her goals were not realized, she was able to raise national and international interest in the site and facilitated the passing of the bill that officially designated Mesa Verde as a national park. However, the war was not yet won. The ruins were still only that: ruins. Jesse Walter Fewkes soon stepped in and began to survey the park in order for repairs to be made and the park to be put in working condition. During the Great Depression, the CCC was an essential force in making repairs and building roads. In more modern times, Mesa Verde joined UNESCO in 1978 as a world heritage cultural site. Overall, the struggle to preserve Mesa Verde cannot be attributed to one person alone. While many recognize Theodore Roosevelt as the driving force behind preserving the park, there are many others who gave themselves to the effort. Their contributions should not go unrecognized, but should be celebrated. Nathan K. May, Brigham Young University, “Preserving Mesa Verde,” Intermountain Histories, accessed April 19, 2019, https://www.intermountainhistories.org/items/show/46. "Building peace in the minds of men and women." UNESCO. N.p., n.d. Web. 17 Apr. 2017. Fewkes, Jesse Walter, and Larry V. Nordby. Mesa Verde ancient architecture. Albuquerque, NM: Avanyu Pub., 1999. Print. Noble, David Grant. The Mesa Verde World. ; Explorations in Ancestral Pueblo Archaeology. N.p. : School for Advanced Research Press/SAR Press, 2006. Print. "Stories." National Parks Service. U.S. Department of the Interior, n.d. Web. 16 Apr. 2017. Taylor, David, and Steve Wolverton. Sushi in Cortez: interdisciplinary essays on Mesa Verde. Salt Lake City: The U of Utah Press, 2015. Print. "Welcome." Welcome | Mesa Verde Museum Association. N.p., n.d. Web. 16 Apr. 2017. Wright, Kenneth R. The water mysteries of Mesa Verde. Boulder, CO: Johnson , 2006. Print.